Academic Fellowship: This fellowship provides educational and professional experiences to enhance family physicians’ teaching, clinical, scholarly, and leadership skills. 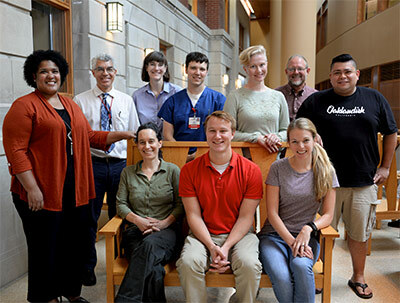 Addiction Medicine Fellowship: This Fellowship, created in 2010, is one of the first programs in the country that provides training to family physicians with an interest in becoming Board Certified in the newly recognized specialty of Addiction Medicine. Integrative Health Fellowship: This fellowship—one of the few worldwide that combines both academic and Integrative Health interests into one overall experience—prepares individuals to become national and international leaders in Integrative Health. Primary Care Sports Medicine Fellowship: This fellowship provides clinical, teaching, and research experiences to train primary care physicians to care for sports-related problems in children, adolescents, and adults. Primary Care Research Fellowship: This fellowship provides opportunities to individuals aiming for careers in medical research related to the organization, delivery, or effectiveness of primary health care and preventive medicine. We also offer a wide selection of faculty development and training opportunities to our current faculty. We invite you to explore the variety of institutional and departmental programs available through the Department of Family Medicine and Community Health. In addition to individual mentoring, the fellowship program also sponsors a weekly seminar series, twice yearly fellowship retreats, and various additional educational opportunities.